We could not be happier with Marna's Catering! We planned our MN wedding from Seattle, and Marna's made everything so easy and stress-free. We corresponded over email primarily with Carlos, and he was responsive, friendly, and extremely helpful! He worked around our crazy schedules so that we could do a tasting while we were in MN for Thanksgiving. Marna's worked seamlessly with our other vendors and the food was wonderful! So happy that we chose them for our day! Truly can’t say enough about Carlos and the rest of the Marna’s team! From our first meeting, I knew we were in good hands and I wouldn’t have to stress. He was so responsive to my changes and questions, organized, and always made me feel like a priority. I was indecisive on what type of meal we wanted (stations vs duet) and he agreed to meet with us a second time to walk through all options and make us feel comfortable with our decision. Not only was the service incredible, but the food was raved about by our guests! Any time you have to feed that many guests (185), it’s challenging to make sure everything is up to the highest standard- but Marna’s overdelivered and the food was wonderful! Marna’s is truly a class act and the perfect trifecta of great service, great food, and reasonable pricing. Highly recommend! The staff at Marna's were fantastic to work with. Throughout the planning process they were very supportive, knowledgeable and professional. Their day of execution of things was also superb. All around, great to work with and helped make our wedding day a success! Marna's was perfect, very professional and personable. Exceptional service, food, and presentation! Wow - where do I begin! Marna's Catering was absolutely incredible. Everything from our first tasting to the big day, we were blown away with their amazing service and food. We met Rolando for our first tasting and had an amazing night! It was hard to pick which dishes we wanted since everything was so good. Carlos helped us leading up to the wedding on the day of and he is FANTASTIC! He answered our many many questions, and was so helpful in working with us on our ideas and requests. The day of was so incredibly smooth - and us and the guests could not stop raving about how good the food was, especially the yummy mash potatoes. Not to mention, the display of the food itself was gorgeous. We did Family Style and could not recommend this enough - it was so fast and efficient! Also their fruit carving they provide is amazing and such a nice & unique touch to their delivery! Overall, we are beyond ectastic from the amazing service we received from Marna's and would HIGHLY recommend them to anyone! Easy to give an honest 5 stars all the way through! Truly top notch - Our entire experience from the start was nothing but exceptional. Marna's delivered all that they promised and some! I very highly recommend Marna's! I had a great experience with Marna’s catering. They worked well with our heavy appetizer menu and they were very flexible with helping out with other parts of our day. I would for sure recommend them to a friend. We absolutely LOVE Marna's. 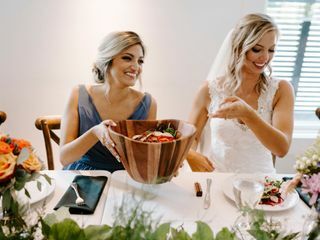 We had our wedding in Costa Rica, so be able to come back and share Costa Rican food with our family & friends at our wedding reception was fabulous! Their food is amazing and we got compliments on it the whole night! I can't say enough great things about Marna's! We tasted at three different caterers and Marna's won us over with the amazing food, service and reasonable price! 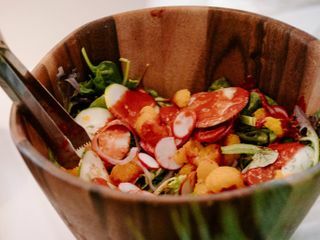 Our guests raved about the food and we still continue to receive comments on how delicious, hot and fresh our food selection was. An added bonus was Marna's food truck that we used for our late night snacks! It was a huge hit with our guest and such a fun feature to add to our big day. From the first tasting through the entire planning process, Nicole and Carlos were so great to work with - they were both quick to respond to any emails and questions. I would highly recommend Marna's to anyone who is looking for delicious food and a professional friendly staff for your event. We were so excited for our guests to have the meal provided by Marna's Catering, and they did not disappoint. 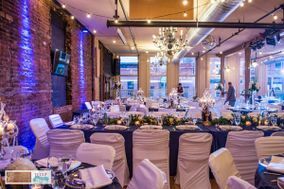 I would hire them again for any event - the food was wonderful, we got many options to choose from, they were priced right per plate for our intimate wedding, and the service was spectacular. Can't say enough - we will absolutely hire Marna's again for the next event when we need a caterer. Marna’s catering has amazing to work with! Immediately when we tried the truffle potatoes we fell in love. They made it a point we had an amazing experience every step of the way! 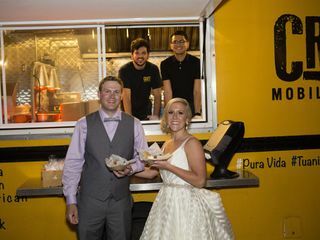 Marna's Catering catered our wedding on May 12, 2018 and what a great experience it was! We worked with Nicole to plan and with Carlos to execute the day. 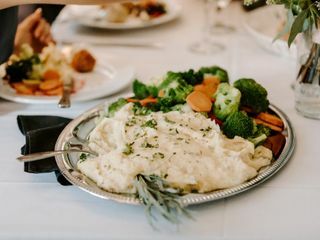 We served a family-style meal for 225 people including chardonnay chicken, cap sirloin steak, lemon zest asparagus, and truffle mashed potatoes (oh my gooodness...those mashed potatoes). Carlos was so accommodating! We ended up needing one extra vegetarian meal, which he whipped up on the fly. We also had two unexpected children for dinner and he was able to calmly figure out what to do. 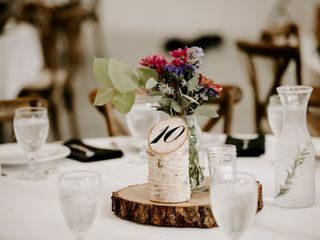 Overall, Marna's Catering was a wonderful, affordable, unique, and delicious addition to our wedding day. All of our guests raved about the meal and the family-style service! 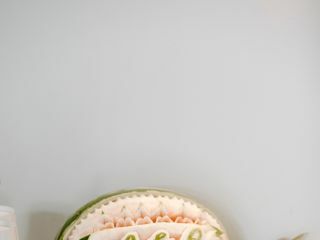 We also loved their watermelon carving (two crossed hockey sticks with our initials) and fruit display, options for food, and openness to ideas to make our day perfect! OMG. The best!! 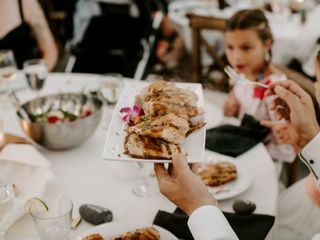 We used Marna's Catering for our Rehearsal dinner and it was incredible. They cooked on site, supplied all the table cloths and dishes, we're so easy to work and the food was absolutely delicious. People still talk about how amazing it was! I highly recommend using Marna's for any event you need catering. We will definitely be using them again! We loved Marnas! From the tasting to the big day they were super easy to work with and accommodating! People loved the food (even our chef friends) and family style was so fun! Marna's catered our wedding and we had nothing but great reviews from all of our guests! Everything was fabulous!! Thank you guys!! Marna's was amazing! The food was excellent. Their prices are by far the best I found. I couldn't be happier! Rolando even went the extra mile and ordered a S'mores bar for us. We couldn't be happier! Thank-you!!! Marnas was awesome! I had a hard time finding a caterer for our wedding because it seemed like all menus were the same - until I found Marnas. We loved their options, their pricing, and how easy they were to work with (thanks Nicole!). Everyone enjoyed the food (literally EVERYONE commented on the mashed potatoes), and it was fabulous to have flatware, plates, coffee, and cake cutting all included in our passed apps/buffet set up. We had one slip up (our plate chargers were nowhere to be found), but in the end, that detail did not matter at all. I'd definitely recommend them! Rolando and his staff were very easy to work with and did a wonderful job!! We were so please with our choice! The guests still talk about how great the food was family style! We came across Marna's as one of the approved vendors at our site, a park within the Three Rivers Park District. Marna's was the 4th or 5th tasting we did and we were quickly blown away by them. Their prices were about midway of all the approved vendors, but the taste was the best, not to mention unique, and therefore they were an easy decision. We had about 150-200 guests so we went with a few passed appetizers, and a buffet dinner with two entrees. They were very flexible and offered great service and inspiration when it came to the menu options. Communication was very smooth throughout the whole process. They arrived when they said they would, and everything exceeded expectations. Apps were delicious, the dinner was just as we remembered, and our guests as well as us got a great kick out of the fruit carving. The only thing I wish could be different was their new warehouse address actually being posted on their website. It was very easy to get it from them, however, there were a few times I needed it, and had to spend some time looking up previous emails/texts, so it would've been nice to have that on their website. They have been renovating, so I don't see that by any means as a reflection, just something that would help for the future. All in all, Marna's was a wonderful caterer and great to have on our big day. Thank you so much Marna's!! We would recommend you to anyone. I cannot say enough about Marnas Catering. The food was amazing and the people were GREAT to work with. Our guests kept coming up to me all night talking about how good the food was. It wasn't "wedding food" it was actually good food!! Marnas was always on top of everything and was profession, very responsive, and helpful any time I had a question or concern. The food you try in the tasting is exactly what you get at your wedding. It is delicious and a great value. Thank you, thank you, thank you for helping us have the most perfect day we could have dreamed of! !